On November 29th of last year I was in a motorcycle accident here in Chiang Mai, Thailand, where I live and work. I was in the right lane and moving to make a u-turn on my Honda Click when a Big Bike hit me from behind. Thank God both I and the other driver sustained very minor injuries, for me bruising, scrapes, aching and some road rash, and for him more road rash and some stitches on one of his legs. Though I was rear-ended by another driver while we were both in the same lane, and though I was using a turn-signal, because I was in the weaker position of turning, the fault in the accident was placed on me. Because I have never experienced an accident in Thailand before I was also not aware of my rights and signed a document at the police station agreeing to this because I believed that I had to. The ramifications of that are that I am now financially responsible for the repairs to the other party’s motorbike. Thank God my insurance covered my health expenses, but the insurance I have does not cover vehicle damage. 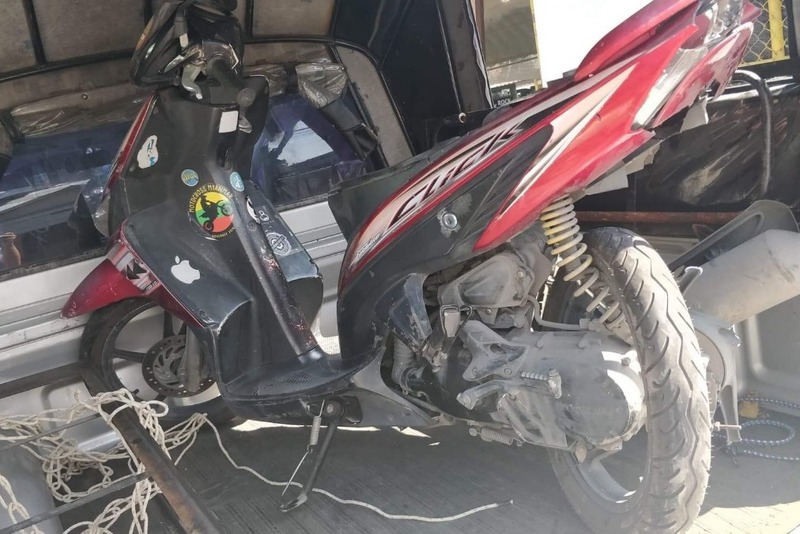 Because the motorbike that hit me was a sports bike and the 2018 model, the repair expenses were extensive. I received notification on March 2nd that I am required to pay the equivalent of approximately 8500 US dollars in one week. I am in negotiations now with the insurance company for a final reduced price but don’t yet have any guarantees that this will be possible. 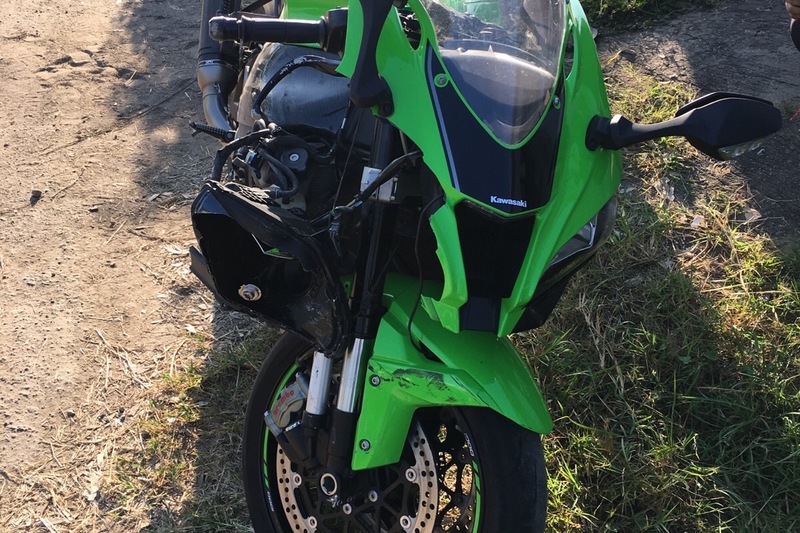 If I am able to pay only 80% of this fee, I will use excess funds raised to cover my own motorbike repairs, maintenance and replacement, as well as motorbike and health insurance. 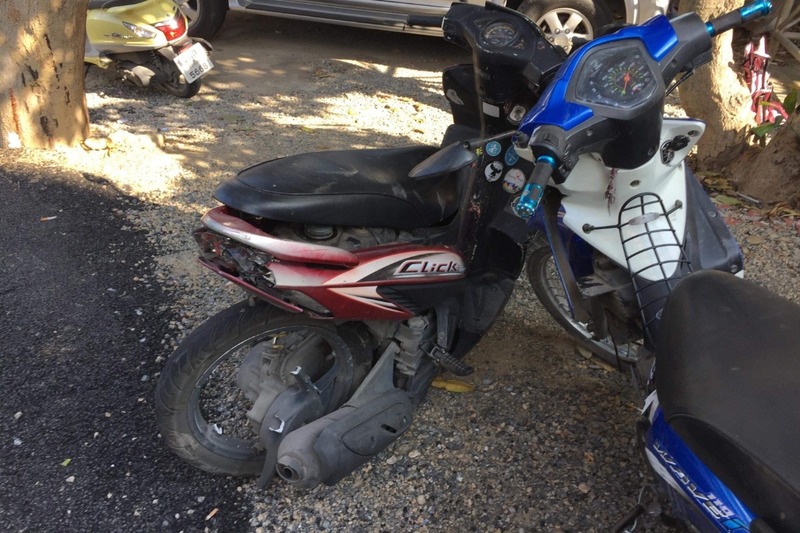 In addition to this unexpected cost of paying for repairs to the other motorcycle, I also have my own motorbike (my sole means of transportation) to think about. The body alignment damage was significant, and with the rear wheel completely knocked off, overall the bike was not worth repairing. I was able to sell it to a junkyard for roughly 30 US dollars. As many of you know, I work as a volunteer here in Thailand. While I receive enough funds for basic living expenses I do not yet have financial reserves available to use in emergencies like this. I trust that God will provide the money I need in this time of crisis. Maybe He is inviting you to be a part of that response? Thank you so much for your hearts of generosity, and please share this campaign with your networks! In less than a week God provided $5,200 in financial support for me AND (hopefully) a reduced price from $8500 to $5200 (165,000THB). Beyond blessed and grateful. Thank YOU for being a part of that. While this isn’t formally over, because my offer is still in process, I am hopeful for the best outcome to the worst situation. Pray with me that they will honor their verbal agreement or even offer to take less . If you were planning to give and haven’t yet, don’t feel like you can’t anymore. Anything extra will be set towards my own financial needs regarding the accident. I'm so grateful to all of you who have donated. Many God bring many blessings in your life. Any excess funds raised beyond the amount needing to be paid to the other party will go towards my personal motorbike repairs and insurance. I'm so blessed to share that I have reached 50% of my fundraising goal (offline donations are about $2500). I'm also declaring a miracle, in that today I made my first offer and it has been informally accepted on the condition that I pay cash. This means that if I can raise another 1200 USD in the very near future, I should have everything needed to cover the final cost of payment for the other motorbike. Pray with me that this offer is formally accepted and let's go get that final $1200! Friends, with off-site donations of roughly 2150 USD, I am at 40% of my fundraising goal within 24 hours! That's amazing and you all are amazing. If just 50 more people give 100 dollars, we'll crush this goal. Thank you for being beams of sunshine on a sunless day. Thank you for sharing with your networks, and thank you in advance for giving. Without you my work overseas would not be possible.